and here it is my first cushion made from the new fabrics Laura bought! Hope you like it’s strawberry goodness! 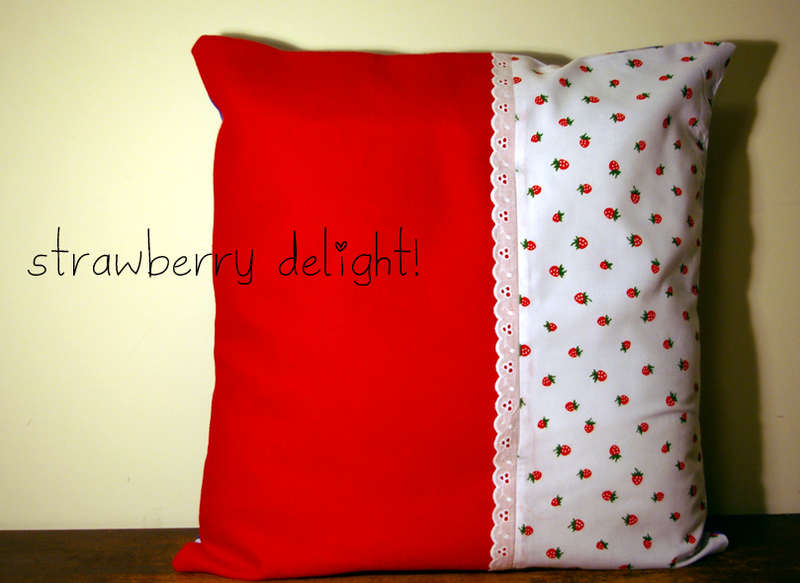 This entry was posted in sewing and tagged DIY crafts, homemade cushion, pillow, sewing. Bookmark the permalink.